Violence solves everything on these brutal battlefields. A tense, tactical medieval brawler that will reward anyone with the patience and will to master it. What is it? Medieval brawler featuring samurai, vikings, and knights, oh my. 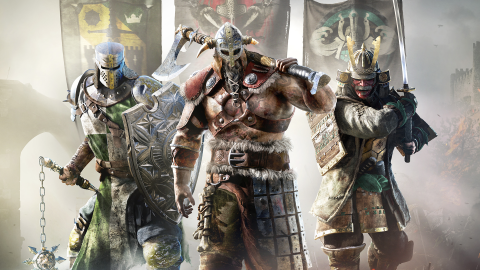 It’s when you’re locked in battle with a single adversary that For Honor’s blade is sharpest. Each fighter can attack and block in three directions: left, right, and high. If your opponent goes for a high attack, an arrow indicating its direction will flash on the screen just before it connects, giving you a brief window to block. Sounds simple enough, but the skill lies in second-guessing your foe and waiting for precisely the right moment to block, attack, or dodge. As you slowly circle your opponent, eyes fixed on their sword hand, wondering if they’ll make the first move, it’s genuinely tense. Especially if they're human.